Argan oil comes from the fruit of the native Argan tree in Morocco. The fruit is so nutritious that goats climb the trees just to eat them. Inside of that fruit is the little nut from which Argan oil is produced. For centuries, dating back at least as far as 600 BC, the Phoenicians relied upon this oil for healing as well as for enhancing beauty. Natives of Morocco’s Argan Forest, which was declared a Biosphere Reserve by UNESCO in 1998, have pressed the nut to extract its precious oil, for use as a dietary supplement, wound healing, and to nourish the skin and hair. What makes the oil so beneficial, is that it’s rich with vitamins A, C and E, as well as being loaded with antioxidants, linoleic acid and omega-6 fatty acids. When applied externally, it can help boost cell production which results in healthier skin and hair – that’s why you may have noticed that among the list of ingredients in high-end beauty products, Argan oil is often included. The great news is that if you want to take advantage of the amazing properties this oil has to offer, there is no need to purchase expensive hair products – all you need is the oil! While 100% Argan oil isn’t cheap, a little goes a long way, which means it lasts a very long time, offering an excellent value compared to how often you’ll have to shell out your hard-earned cash for pricey store-bought hair products. The key is, you’ll want to be sure you’re purchasing the real thing! Check the ingredient list. It should have just one ingredient: 100% Argan Oil (Argania Spinosa) Kernel Oil. There should be no additives whatsoever, meaning no water, no fragrances, and no preservatives. Avoid clear or plastic bottles. Argan oil should only be packaged in a dark glass bottle (usually dark amber), as light breaks down its’ beneficial properties. Smell it. Argan oil should have a mild nutty aroma that will dissipate after a few minutes following contact with skin. The feel. The texture of the oil should be smooth and not too watery. Examine the label. The oil should be labeled as “Made in Morocco,” or “100% pure.” It should also have an ECOCERT certificate. Look for cosmetic grade oil. Unless you plan on cooking with it, look for cosmetic grade oil which isn’t roasted, allowing it to retain the essential nutrients that will benefit your hair. So, how can Argan oil help you have more beautiful hair? Argan oil is a great moisturizer and can be used to fight both dandruff and dry scalp as it’s extraordinarily high in vitamin E and antioxidants. The essential fatty acids in the oil are also believed to help reduce skin inflammation and prevent dryness. Many people suffer from flakiness and dry scalp as they tend to shampoo with drying chemical agents without restoring it with moisture which it needs to stay healthy. If it’s neglected for too long, dandruff often results. And, if you have dandruff and use a medicated dandruff shampoo, not only is your body getting a hefty dose of chemical ingredients, but it will actually dry out both your scalp and hair more, adding to the problem over time. Instead, use Argan oil on your scalp to reduce dryness and nourish your hair by warming 5 or 6 drops of the oil between your palms. Apply the warmed oil to your scalp and massage well, and then put on a shower cap and allow the oil to soak into the hair and scalp for at least a few hours, or ideally, overnight. Treating your scalp twice a week with the oil will help eliminate dandruff and dryness. Argan oil can be used as a leave-in conditioner, to help prevent frizz and flyaways, while also working to repair split ends. Most people experience immediate benefits by using Argan oil as a leave-in conditioner, it works incredibly well for promoting shine and gloss, taming frizz and leaving the hair softer and more manageable. Unlike many styling agents which can cause long term damage to hair due to the many chemicals contained within, Argan oil enriches the hair, nourishing it with nutrients and repairing damage. Before using any styling tools, apply 2 to 3 drops of Argan oil using your hand, palm first. Then use a brush or comb to distribute it evenly throughout your hair from roots to tips which coats it with the oil, keeping it protected from heat damage. Argan oil can be used as a very effective overnight deep conditioning treatment. If your hair is dry and brittle, once a week, treat it with the oil by warming 6 to 8 drops in your hands before massaging it into your scalp. Work it through your hair, applying to the ends and then pull all of your hair up into a shower cap. The shower cap helps retain your natural body heat which allows the oil to penetrate better, as well as keeping the oil away from your pillowcase. In the morning, wash your hair as you normally would and rinse well, until all oil residue is gone. 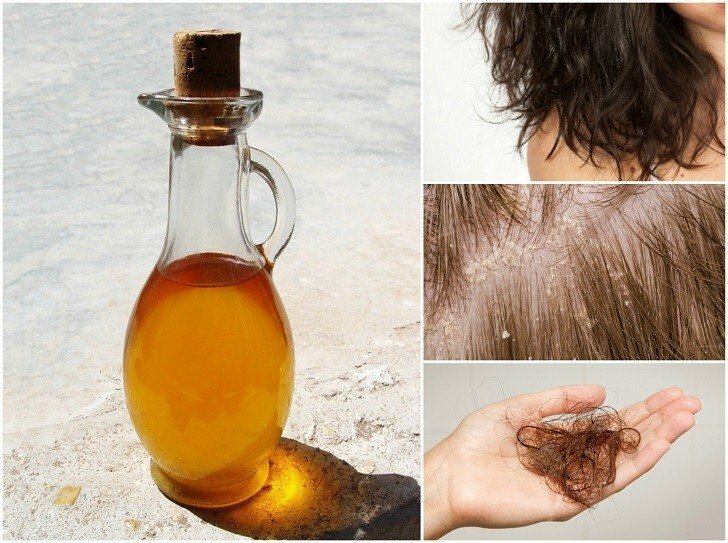 Apply this treatment once a week to maintain healthier hair. Chemicals used in swimming pools, as well as salty sea water, can have a devastating effect on your hair, leaving it dry and dull. Protect your hair from chlorine and salt by soaking it in water from the roots to the tip, and then applying a few drops of the oil, again, working it through from the roots to the tips to lock in moisture and act as a barrier. Repeat the procedure every time you go back in the water. Wash and condition your hair as soon as you can after swimming. Afterward, gently squeeze the ends of the hair dry with a microfiber towel. Using about a dime-sized amount of Argan oil, warm it in the palm of your hand and then gently pull it through the bottom two inches of your hair. Comb your hair from roots to tips using a wide-tooth comb to evenly distribute. Avoid using heated styling equipment, instead allowing your hair to air dry. Many people, both men, and women suffer from hair loss. In fact, though many mistake it as a strictly male-related condition, 40 percent of American women experience it. When you first notice that you’re losing more and more hair in the shower, bathroom sink, and on your hair brush, your first reaction is probably denial, but as the loss increases, it’s important not to ignore it and take action. Argan oil is an excellent oil for stopping hair loss and even helping to promote new growth by treating the scalp three times a week. Argan oil helps prevent hair loss by ensuring that you don’t lose more follicles than you’re able to grow – when that happens, hair loss becomes noticeable. Multiple studies on the oil’s effect on hair re-growth have found that it can stimulate the scalp due to its rich nutrient content to produce more hair. Other research has indicated that it helps hair grow faster in a shorter period of time. 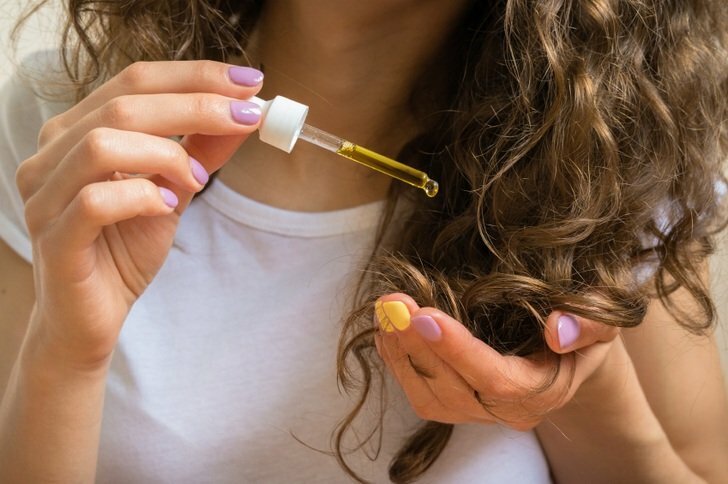 One particular study out of South Korea found that 44% of participants experienced “clear hair regrowth” with Argan oil treatment – as good as the drug minoxidil, but without the potentially harmful side effects. For those with curls, Argan oil can help with manageability, and help define those curls for a more beautiful look. Just apply a few drops to the palm of your hand. Run your hand through your hair, focusing on the ends and layers. Next, put your hair in a microfiber towel and squeeze it gently without rubbing. Repeat, working from tips to roots each time. Your curls will not only be more defined, but they’ll be more manageable and stronger. Applying a few drops of Argan oil on your hair every day will make it look shinier, more lustrous and even give it a more glowing appearance. The oil immediately soaks into the hair fiber, providing it with essential nutrients for protection that lasts. When you plan to spend time out in the sun, before going outside, apply a few drops of Argan oil to your hair to prevent sun damage. After you’ve worked it through from roots to ends, braid your hair to lock in moisture.